Nokia XL Dual-SIM supports Dual- Micro SIM(GSM+GSM) with 3G, Bluetooth, Wi-FI, GPS and Sensor runs on customised version of Android, with its Metro-inspired UI( Nokia X software platform ) offers you a bigger 5-inch WVGA IPS LCD display with resolution(480×800) powered by a faster 1GHz faster dual-core Qualcomm Snapdragon S4 processor with 768MB RAM, 4GB internal storage further expandable up to 32GB via MicroSD card for superior multitasking comes with a 5-MP rear camera with flash and 2-MP front facing camera for video calling and a 2000mAh battery promising talk time up to 16 h on 2G and up to 13 hr on 3G and standby time with dual SIM: up to 30 days. It also includes you free cloud storage from Microsoft’s OneDrive, integrated turn-by-turn navigation, and Nokia MixRadio along with one month of Skype’s Unlimited World Subscription. One month of Skype’s Unlimited World Subscription. Other Range of Nokia Mobiles on Flipkart. 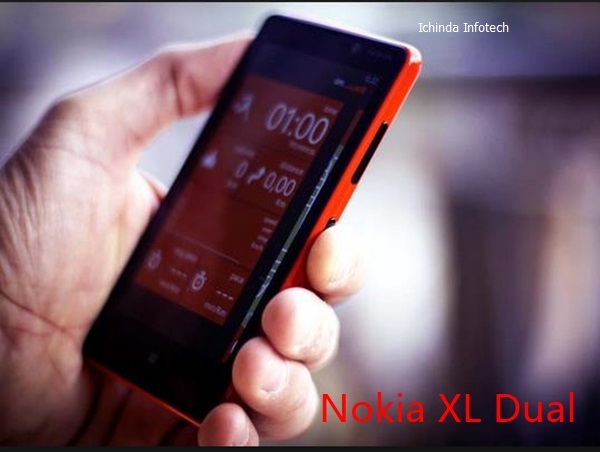 As far as I concern Nokia XL Dual is the best smartphone in affordable price will be the game changer fro Nokia.. What you think? Be first to write a review.